Miller Grove’s girls hit the ground running during the 2018 DeKalb County Track and Field Championships this week and never eased off the gas. Coming in as the 2017 defending champs, the Lady Wolverines spared no time by taking an early lead. Altogether, they scored 123 points to outscore second-place M.L. King by 38 points. This year’s events featured numerous great performances by both Miller Grove and M.L. King with both teams placing first in eight girls events. Junior Emoni Coleman shined in every event she participated in, winning the 800-meter run (2:15.00) and the 1600-meter run (5:17.35). She also helped the Lady Wolverines place first in the 4×400 meter relay along with Chance Barnes, Zariah Kitchens and Angelica Frederick (3:49.91). A second-place finish to M.L. King in the 4×100 meter relay didn’t sit well with senior Kitchens, who went on to place first in the 400-meter dash (57.26), besting M.L. King sprinter Lauren Euler and extending Miller Grove’s lead. Junior Tacaria Demery made her way to the podium twice, earning two silver medals with her 100-meter (12:08) and 200-meter dashes (24.86). At this point in the meet the Lady Wolverines appeared to be positioned for the repeat, ahead of current second-place Stephenson by a score of 105-62 with only three events remaining in the meet. Miller Grove’s Marguerite McGill took control of the field events, placing first in the shot put (34-00.00) and second in the discus (98-03). De’Asia Keller also managed to place first in the triple jump (33-09.00). Closing out the meet was Frederick, Kitchens, Coleman and Barns with a big victory over M.L. King in the 4×400 relay (3:49.91). Kayla Hunt ran strong for M.L. 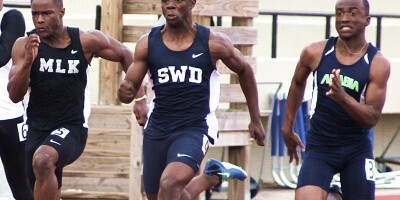 King, winning the 100-meter dash (11.95) and 200-meter dash (24.61) and helping secure first in the 4×100 meter relay. This victory marks the third county championship win for the Lady Wolverines since 2014 and in school history. Also making history were the Southwest DeKalb Panthers, winning their 15th DCSD Track and Field title in school history after a neck-and-neck battle against Stephenson. Senior Marcellus Boykin raked in two individual gold medals with his wins in the 200-meter dash (21.54) and the 100-meter dash (10.73). The speedster would later add to his stellar performance by helping the Panthers secure the 4×100 meter relay along with Trentavious Wiley, Justin Tomlin and Devin Brewington. Opportunity arrived when no Stephenson players were able to enter the 300-meter hurdles. This led the way for Barry Williams to place third (41.37) and Jabez Long to place fourth (41.79), adding 11 points onto Southwest Dekalb’s lead. Nicholas Edwards held down the fort during the individual performances, placing first in the shot put (51-01.50) and beating out Stephenson’s Previs Seldon in the discus to place first (155-03) followed by teammate Jeffery Hines (133-08). 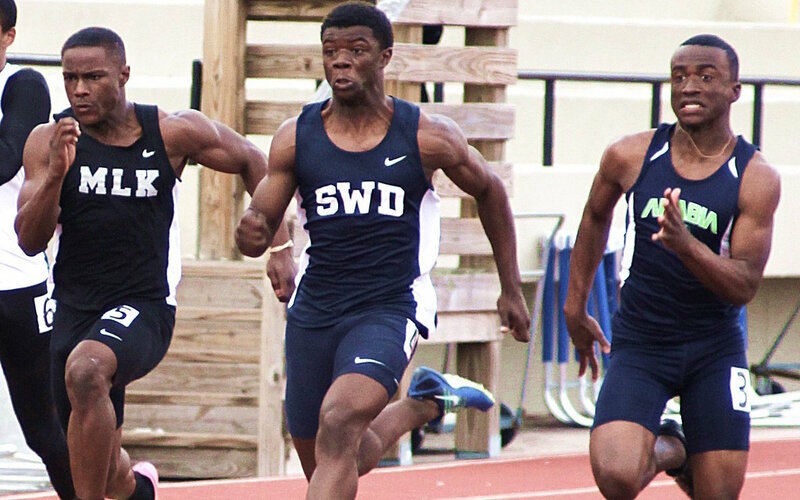 Stephenson’s push for second place was fueled by senior Jordan Sessom, who took gold in the 400-meter dash (49.35), and Justin Birdsong who placed first in the 110-meter hurdles (14.78).